19APR19 -- While I have updated my careers using this method and uploaded the new files here, for those careers that aren't updated right away while we wait for the updated Create-a-Career tool, there is a workaround for fixing careers that are missing text because of the most recent update that anyone can do regardless of whether or not you are a creator , with the use of Sims 4 Studio by midnitetech posted HERE. Thank you to MTS member Dero for bringing that to my attention! you have 6 careers to choose from, each with 7 levels of their own. 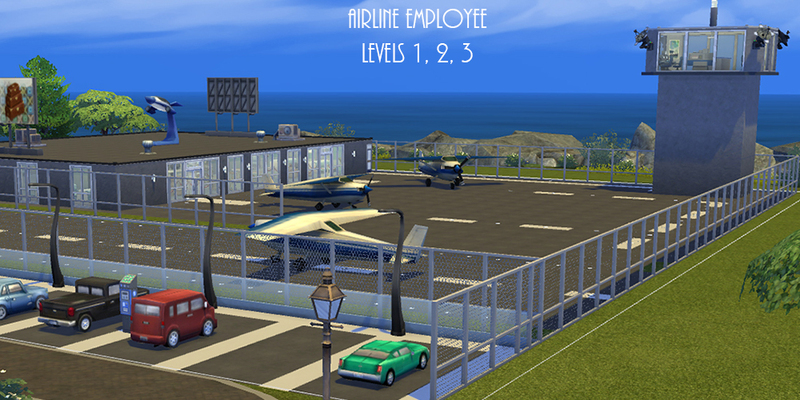 You will work for Sim Air, referenced from Sims 2 creator crocobaura, for continuity. language, please let me know. It would be greatly appreciated! the Cargo Agent and Airport Agent jobs in the real world, as I worked for a major Canadian airline for 12 years. Being a travel agent is not a requirement to work for an airline, but it is a great job with lots of perks of its own in the real world. by State University Civil Service System. Pilot levels 2,3 and 5 are derived from real certifications as described by Phoenix East Aviation. will make more than a junior flight attendant, even on smaller aircraft. All of the appropriate links are provided in the credits, and I encourage anyone interested in an airline career in real life to check them out. a Sim who you know will be attempting them, or use a cheat to give that trait to your Sim already in game. Airline Employee Want to be an airline employee? Once you complete your first 3 levels of becoming a Travel Agent you will then have the opportunity to choose from several different airline careers and learn what it's really like to belong to an airline family. You will become part of a union as job protection have full medical coverage and life insurance and travel at seriously reduced rates. 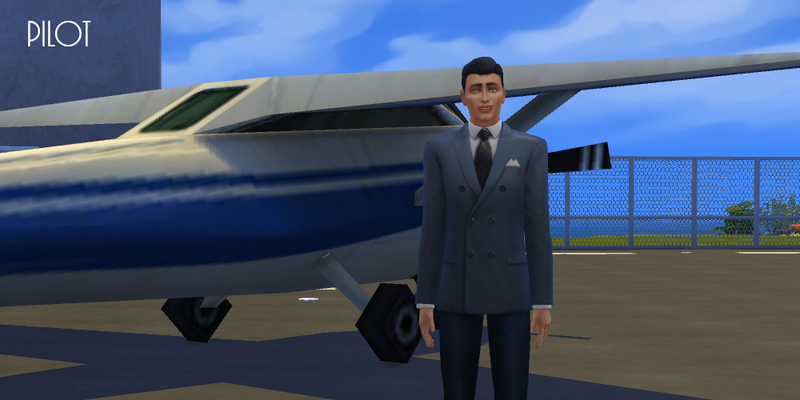 Airline Employee 1-Travel and Tourism Trainee Sim Air's local travel agency has hired you and is putting you through training. Soon you'll be able to book flights hotels car rentals and more. Learning the ins and outs of travel and tourism is the best way to start your airline career. Airline Employee 2-Travel Agent Your resume will look exceptional with work experience at Sim Air travel agency. You'll get to know all the destinations the airline flies to and learn to deal with all types of clients. This will also give you some time to figure out what type of airline employee you want to be. 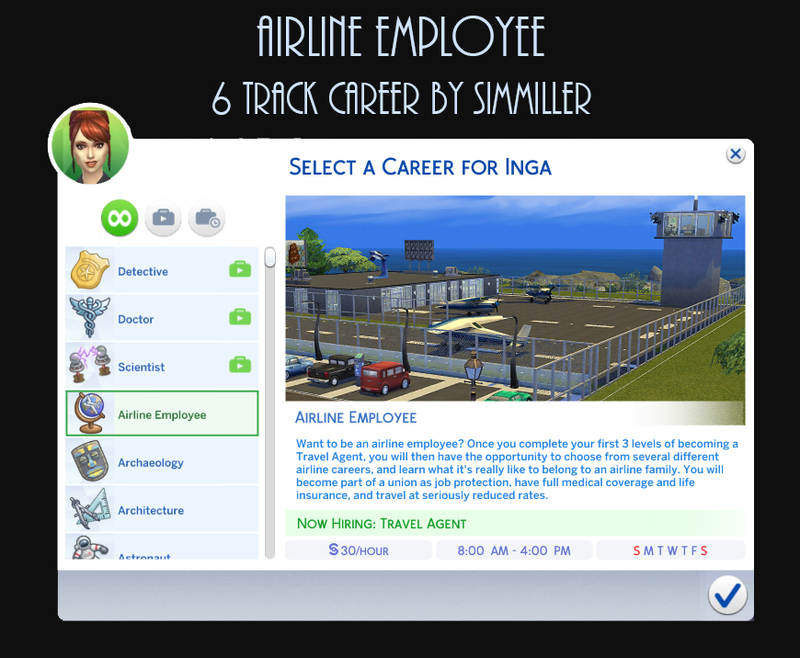 Airline Employee 3-Airline Employee Entry Level Trainee Sim Air has taken you on and wants you to become familiar with the company motto different computer systems and career options available to you. Your next step after this is figuring out what branch you will choose to work in. Station Attendant You're responsible for getting passengers' baggage from point A to point B. Baggage handling is heavy work so keep fit. From when their baggage is dropped off at the airport with an agent to when it gets put on a belt for pickup you and your fellow Station Attendants will be on the job! Station Attendant 1-Baggage Room Attendant You will take people's baggage that has been checked and put it on the correct belt system baggage cart or in the correct container. This designates what plane the bags will be planned for. Station Attendant 2-Baggage Loader Whether putting baggage in the hold by hand or loading containers onto a large aircraft you are responsible for getting the correct bags on the correct planes. It's not an easy job so make sure you're wearing the correct gear! Station Attendant 3-Baggage Runner Now for something a little easier you've earned it. All that baggage on carts or in containers has to get to the plane somehow and you're the Sim for the job. You will attach your tug and drive them from the airport to the planes so make sure you know what goes where! Station Attendant 4-De-icing Equipment Operator You're responsible for putting all that lovely glycol all over the aircrafts so they can fly in freezing weather. You're going to be in a little box on a crane-like apparatus so make sure you dress warm and follow safety protocols. Station Attendant 5-Wand Operator Once the planes have landed and air traffic control tells them what runway to come in on it's up to you to guide them into the gate area. Waving your wands in set patterns tells the pilots all they need to know. Station Attendant 6-Aircraft Push-back Equipment Operator Be careful! There are so many people and vehicles not to mention other planes out on the tarmac you need to be super aware of when and how fast you move the plane away from the gate. Follow the instructions from the pilot and your wing-men and you'll do okay. Station Attendant 7-Lead Station Attendant You've done it all and now get to tell everyone else what to do! You're also responsible for every member of your crew and every aircraft you assist in onloading and offloading baggage as well as all of those other jobs you just completed. If anything goes wrong it's on your head! You can handle it though. Congratulations! Airport Customer Service Agent From the time a passenger enters the airport until they sit in their seat on the plane you are the person responsible for their smooth transition. It's important to maintain a decent fitness level as you will be walking all over whatever airport you are working in. Computer and communication skills are essential to being an exceptional agent. Airport Customer Service Agent 1-Check-in Agent You're the first employee passengers see when they come to the airport. You will need excellent communication and computer skills to help all these people begin their journey. You will take their tickets and give them boarding passes and check in their baggage. Make sure you tag it for the correct flight! Airport Customer Service Agent 2-Lost Baggage Agent No you're not lost their baggage is! Whether angry upset or indifferent keeping a cool head is important when helping people recover their baggage. Keep improving your computer skills to locate lost items quickly and efficiently. Airport Customer Service Agent 3-Boarding Assistance Agent It's time for passengers to board their flight. Imagine how happy they must be in most cases to be traveling! 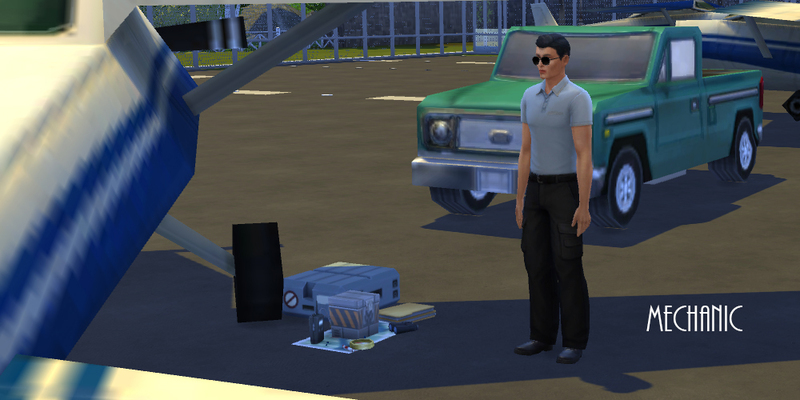 If you're all grumpy you could lose future clients so be nice and make sure to check that ID matches the tickets and the faces so people going to Hawaii don't end up in Windenburg! Airport Customer Service Agent 4-Flight Manifest Agent While your Boarding Assistance Agent scans boarding passes you will make boarding announcements in the correct order. People who need assistance and elite travelers first please! Also ensure empty seats are filled with standby passengers and all people checked in on the flight are accounted for. Airport Customer Service Agent 5-Load Plan Agent This is a big responsibility. You will need your thinking cap on with a cool head to plan the weight and balance of the aircraft. This means ensuring the right amount of fuel for the aircraft and proper loading locations for all baggage. You will also have to decide what to leave behind be it passengers baggage or cargo in case of heavy loads. Airport Customer Service Agent 6-Concierge A sunny disposition and problem solving skills are essential to any successful concierge. You will attend to elite passengers ensuring their wants and needs are met and that they get to their aircraft in time for boarding. 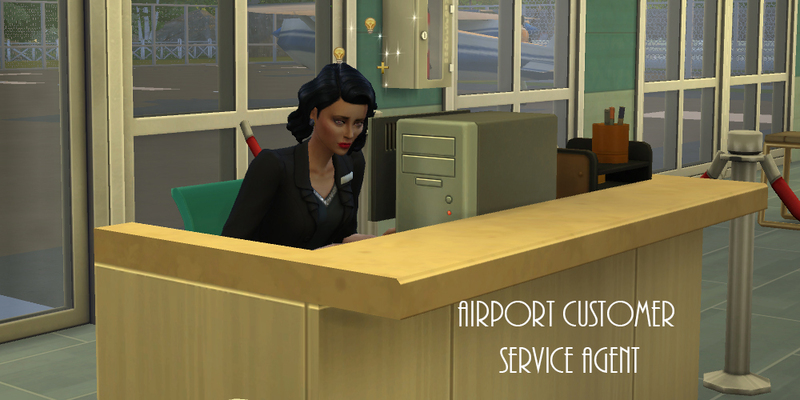 Airport Customer Service Agent 7-Lead Customer Service Agent With great power comes great responsibility and now you have both! Congratulations on becoming a lead agent! You will keep track of all your assigned employees and flights making sure everything goes as planned and that there is enough personnel to get the job done. Way to go! Cargo Customer Service Agent Getting people's shipments to its final destination is your thing. There's a lot of computer work and organizational skills are vital. You will also be all over the warehouse as part of your job so keep fit. Whether getting packages or cargo to a little town near you or all the way across the world this is one way to make people loyal to Sim Air. Cargo Customer Service Agent 1-Air Waybill Data Entry So much typing! Remember to keep in mind ergonomics because this job will wear you out fast. You are entering all the shipping information into the computer system so the airline is able to keep track of each item clients have brought in. Cargo Customer Service Agent 2-Import/Export Agent Depending on the day you will either accept freight directly from clients for transport or enter into the computer system all the shipments that have arrived off flights from other cities. Communication and typing skills are a must! Cargo Customer Service Agent 3-Dangerous Goods Acceptance Agent All those dangerous goods like infectious corrosive or flammable substances all require specific paperwork and packaging in order to be flown from one city to another. You will make sure all requirements are met to standard before anything leaves the warehouse. Cargo Customer Service Agent 4-Phone Center A little bit of cushion for your tush. This is not a physically demanding job but your duties are vital to clients. They will call in looking for updates on their shipments or to book a spot on an aircraft for their cargo. Cargo Customer Service Agent 5-Domestic Cargo Planning Agent You will make sure all the cargo planned on your set of flights within the country is put on the correct carts or in correct containers and recorded in the computer. 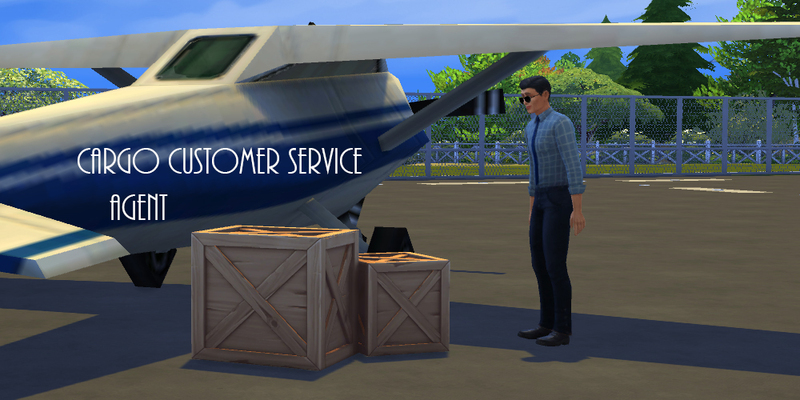 Cargo Customer Service Agent 6-International Cargo Planning Agent Bigger planes means more freight! You now are responsible for making sure all the customs paperwork attached to each shipment goes out with the freight for the correct international flights. Where in the world is your flight going? 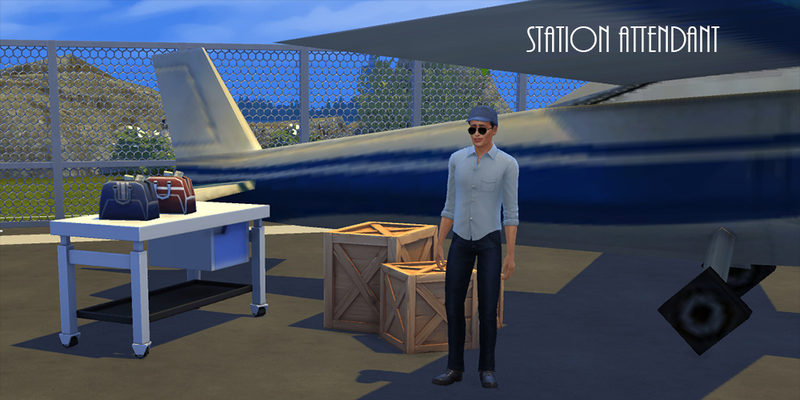 Cargo Customer Service Agent 7-Lead Cargo Agent You're now in charge of all the cargo agents assigned to you. That means making sure everyone is at their position when they're supposed to be and that any and all issues that arise are resolved. You've made it as far as you can go in this branch of airline employees. Congratulations! Pilot Have you always wanted to fly like the birds? Do you long to spread your wings and soar in the clouds? Train to become a pilot of the aircraft of your choice after you take the necessary steps that is. All pilots start small and move up in aircraft size as their career progresses. Remember all pilots are required to have physicals on a regular basis so try to keep fit. Best of luck to you! Pilot 1-Flight School Student The first place you're going is back to school! It's time to learn all about flying very small aircraft and begin to practice what you've learned. Get that FAA Certification so you can fly commercially and take to the skies! Pilot 2-Sport Pilot A sport pilot is the easiest and least restrictive certificate a student can obtain. It’s meant for those pilots who wish to fly in light aircraft only at low altitudes in their local area. Sport pilot certificates can be earned in one of multiple categories: Airplane powered parachute glider rotorcraft and lighter-than-air. Sport pilots are limited to just one passenger and are prohibited from flying at night and levels above 10000 feet. Pilot 3-Recreational Pilot A recreational pilot can fly heavier aircraft than those used for sport pilot training. The recreational pilot certificate requires at least 30 hours of logged flight time including 15 hours of dual instruction. Recreational pilots are limited to flights less than 50 nautical miles from their departure airport can only fly during the day and must stay out of controlled airports. Pilot 4-Bush Pilot You're now moving onto commercial jobs and flying fishermen to remote locations bringing injured people from the wilderness to cities for treatment and transporting small amounts of supplies. Pilot 5-Feeder Pilot Finally Sim Air has taken notice of you and offered you a position on their feeder aircraft. You will be flying passenger aircraft that seat approximately 15-30 people and have taken a substantial pay increase. The airline transport pilot (ATP) is the most advanced pilot certificate one can obtain and it is necessary for those who want to fly commercial airliners for a living. All commercial airlines now require a pilot applicant to have an ATP certificate. To become eligible for an ATP certificate a pilot must have logged at least 1500 hours and be at least 23 years old. A restricted ATP with lower requirements is available for some pilots like military pilots and students graduating from approved universities. Pilot 6-Domestic Captain Wow! Your planes are now much larger and you're responsible for flights that cross the country carrying approximately one hundred passengers. You are bringing people together! Pilot 7-International Captain You fly the biggest planes and are responsible for hundreds of lives every day. Your skill and endorsements are second to none. You can fly almost anything and now have the choice of flying people to different countries. Take some time between flights and sight see enjoy local cuisine and pick up a few souveniers. Congratulations! Flight Attendant Flight attendants work primarily in the cabin of passenger aircraft. Dealing directly with passengers and standing for long periods can be stressful and tiring so regular workouts at the gym are vital. Occasionally flights encounter air turbulence which can make providing service more difficult and causes anxiety in some passengers. Handling emergencies and unruly customers also can be difficult and cause stress. Flight attendants spend many nights away from home and often sleep in hotels or apartments shared by a group of flight attendants. Flight Attendant 1-Junior Flight Attendant on Feeder Airline You are the small fish in a very big pond but that doesn't mean you aren't important. Your knowledge of safety is essential and your communication skills are valuable as you are the face of the airline on these short flights. Flight Attendant 2-Senior Flight Attendant on Feeder Airline Well you're now the 3rd most important person on the plane next to the captain and co-pilot. You oversee one other flight attendant and keep in contact with the cockpit. Your flights are short your aircraft still small but you're working your way up the ladder. Keep up the good work! Flight Attendant 3-Junior Fight Attendant on Domestic Airline Back of the bus....or airplane as it were. You get to serve all those passengers in Economy Class. There are so many! Your flights are longer and your aircraft bigger so keep up with your safety knowledge. Flight Attendant 4-Senior Flight Attendant on Domestic Airline Being responsible for all those passengers is quite a responsibility. Luckily you now get to work in Business Class serving wealthy passengers and their families gourmet meals and lots of alcohol! Keeps 'em happy. You're also still responsible in case of an emergency so know the aircraft and safety procedures well! Flight Attendant 5-Junior Flight Attendant on International Airline You're back in the back but that's okay. Long-haul flights mean long hours usually at night but your next step will be worth all your hard work! Flight Attendant 6-Senior Flight Attendant on International Airline These long-haul flights are exhausting but you have worked your way into the prime position in First Class on large aircraft. That means your communication skills need to be perfect you can handle any emergency that may come your way be it over land or water you know all about etiquette for the elite and you can make any drink known to Sims. No wonder you make the big bucks! 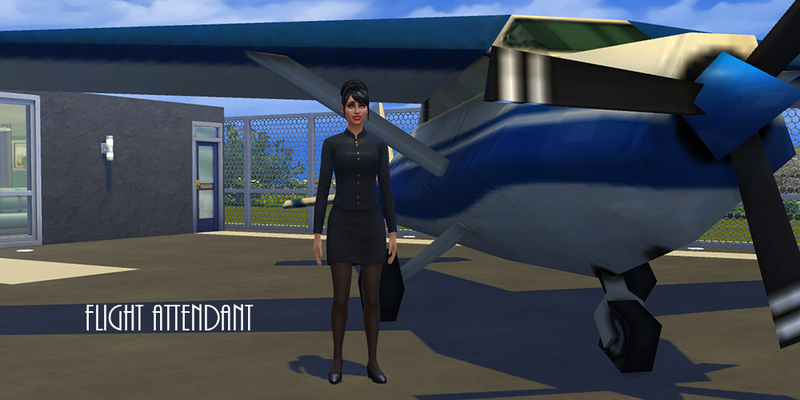 Flight Attendant 7-Flight Attendant for Wealthy Passengers on Private Jets Congratulations! You now can pick and choose your employer(s) be they an heiress celebrity CEO of a major corporation or even royalty! You are the cream of the crop and they are all scrambling to have you on board their flights. Well done! Mechanic The building mainenance and repair of aircraft is your specialty. Intense focus and dedication are required to be a aircraft mechanic. Mechanic 1-Wheel Cleaner Everybody starts at the bottom and you will literally be working at the bottom cleaning the wheels. Mechanic 2-Tool Organizer Your fellow mechanics need their tools kept in order and it's your job to make sure it's done. This will ensure your organizational skills for when you are a full fledged mechanic. Mechanic 3-Aircraft Maintenance Mechanic Helper Employees at this level assist in performing duties involved in the maintenance of aircraft power plants. You will aid in the maintenance overhaul repair and construction of aircraft and aircraft power plants aid in the repair and installation of aircraft instruments aid in servicing aircraft and aid in inspection and cleaning of aircraft . Mechanic 4-Senior Aircraft Maintenance Mechanic Employees at this level perform responsible duties requiring a high degree of skill and experience in the maintenance and repair of aircraft aircraft power plants and component parts. They work under general supervision from a designated supervisor. You will supervise subordinates and assigned students be responsible for such repairs overhauls inspections and work as may be assigned on airframes and power plants in the shop or on the flight line operate miscellaneous machines required to maintain aircraft (such as lathes drill presses and testing equipment) remove and install aircraft instruments and radios assist in teaching when required and other assigned duties. 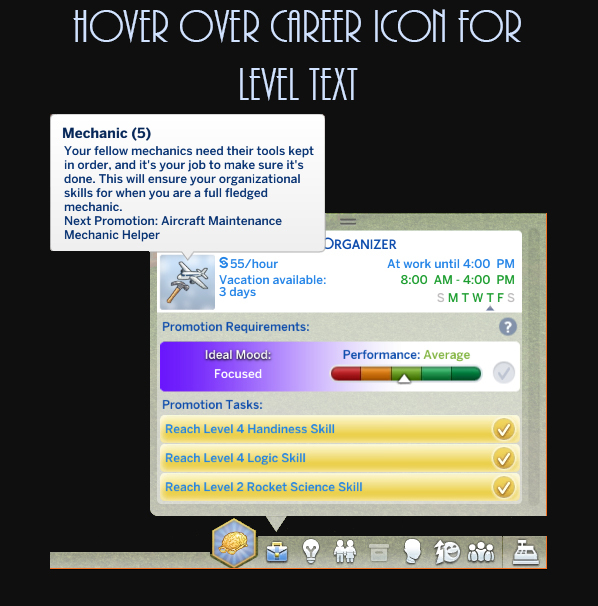 Mechanic 5-Master Aircraft and Aircraft Engine Mechanic You are now very specialized and accomplished. Your duties are as follows: develop design and build aircraft and aircraft power plants from blueprints and specifications perform skilled mechanical work with fine tolerances plan assign and oversee work of subordinates be responsible for repairs overhauls and inspections of such aircraft and aircraft power plants assist in teaching when required operate all types of testing devices as well as all shop machinery install and repair all types of aircraft accessories and perform other related duties as assigned. Mechanic 6-Aircraft Shop Sub-Foreman Employees at this level perform aircraft maintenance work as directed and supervise and/or lead and assign work to aircraft maintenance and laboratory mechanics instrument repairpersons and other assigned personnel in an aircraft maintenance shop. You will act for the Aircraft Shop Foreman during absences assist in the assignment direction and supervision of regular work on aircraft and aircraft power plants supervise inspections maintain safety practices plan work flow calculate costs maintain time records operate within teaching programs and any other assigned duties. Mechanic 7-Aircraft Shop Foreman Congratulations! You are now the Aircraft Shop Foreman! The head honcho! You now supervise the work of aircraft maintenance and laboratory mechanics instrument repairpersons storekeepers and other assigned personnel in an aircraft maintenance shop. Your duties will be to assign and generally supervise regular work on aircraft and aircraft engines supervise inspections maintain safety practices plan work flow calculate costs maintain time records correlate stockroom activities and cooperate with teaching programs. I will hopefully be adding custom Chance Cards in the near future. 15NOV18--I am waiting for Neia to update the Create-a-Career tool, at which time I will update my careers. Thank you for your patience! 13NOV18--Careers seem to be working with this latest update. If you encounter an issues, please let me know in the comments. I used Neia's Create-a Career-Tool, which you can access by registering by clicking on the link. Photoshop CC was used to create the icons and career screenshots.